Trek through different ecosystems and explore the rich and unique culture of Tanzania. 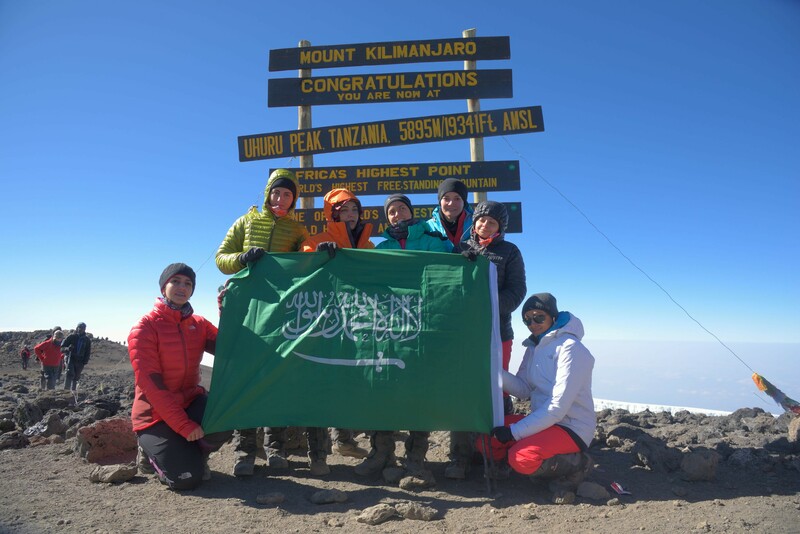 Enjoy all of that as you ascend to the rooftop of Africa and bag one of the world’s 7 summits. 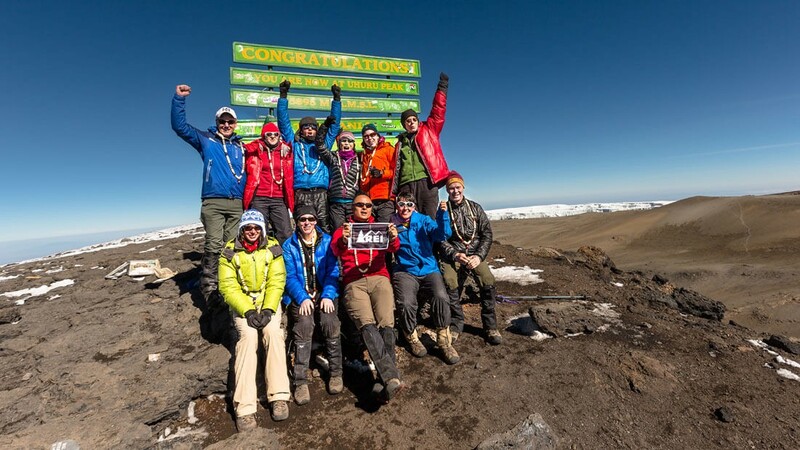 This is the perfect trip for your first mountain experience, providing you with valuable outdoor experience and a stepping stone to even bigger challenges. 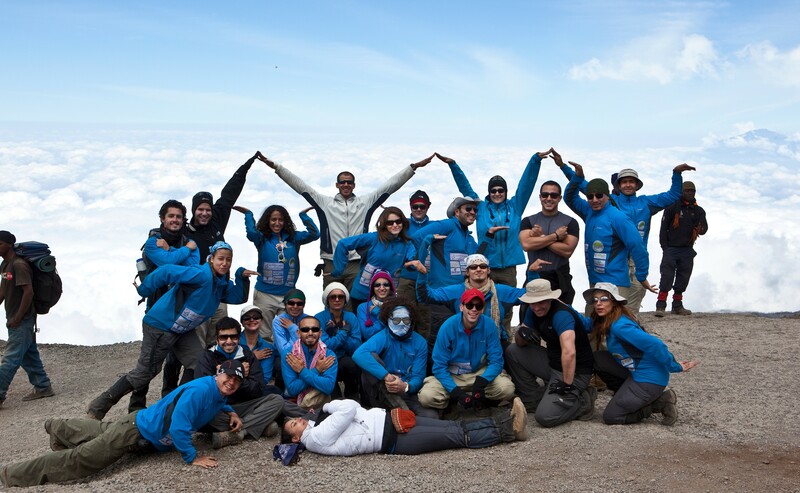 Our local guides and journey staff are of the highest caliber and will help you make Kilimanjaro an achievement of a lifetime. Get ready to enjoy picturesque views from Africa’s rooftop. 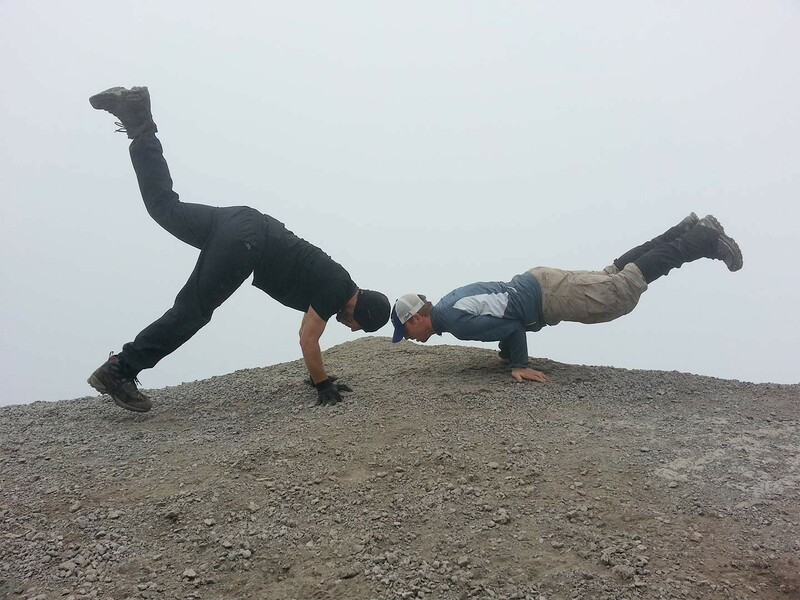 At 5895 meters, this journey is perfect for first time trekkers and experienced climbers alike. The route to the summit consists of well trodden trails on low angle slopes, which can still be quite challenging due to the daily gain in altitude. Once you’ve successfully completed this climb, you will have gained the necessary experience to climb on Mt. 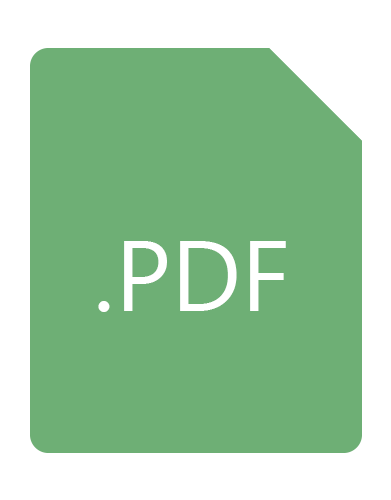 Elbrus, Island Peak, Gran Paradiso, and Stok Kangri. We’re getting picked up from the airport and taken to the Arusha Hotel (1,254 m). Make sure you arrive early because there’s a lot to get done. Once we’ve had a chance to settle in, the guides will arrange a final briefing and gear check to make sure that we are all ready before the start of the climb the next day. The rest of the day will be spent at leisure, but make sure you get a good night's rest as the next day starts pretty early! 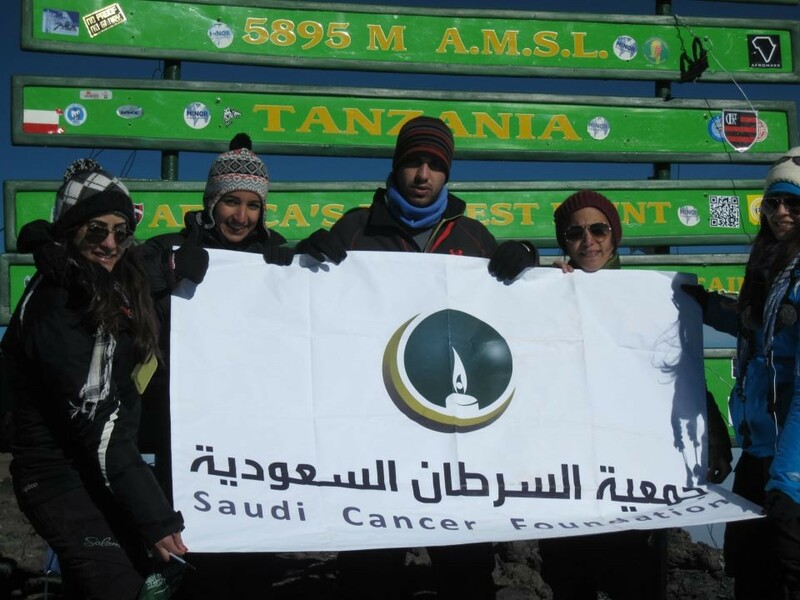 From Arusha we set out in vehicles to the starting point of the Lemosho trail. 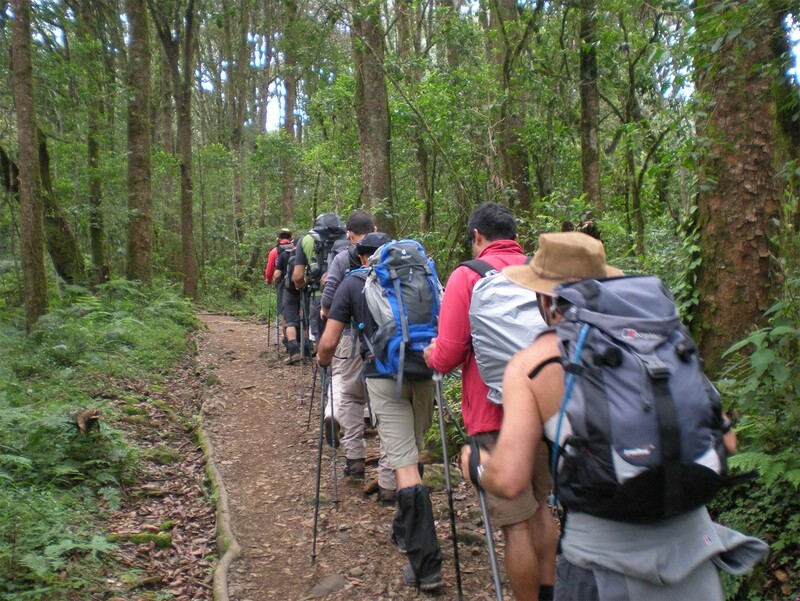 Here we meet the rest of the crew and set off at a leisurely pace into afromontane forest. We’ll have lunch on trail before we reach camp by mid-afternoon. 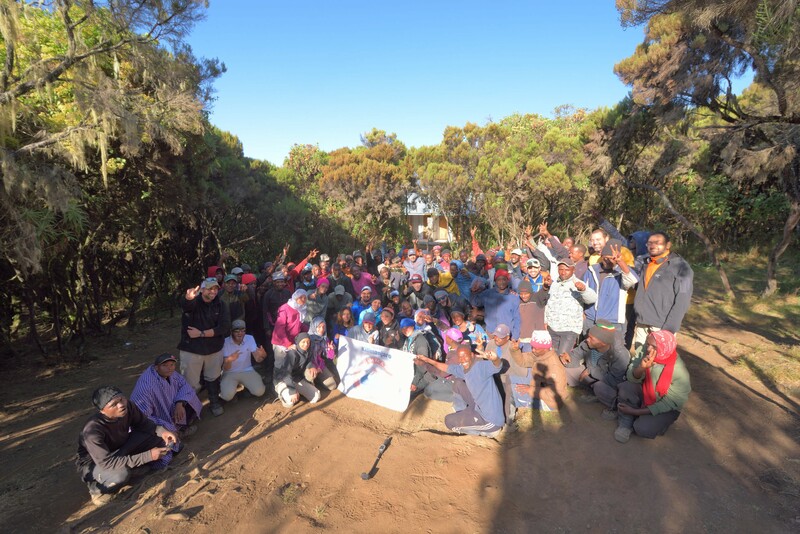 We’ll be spending the night at Forest Camp at 2,895 m.
From the forested slopes of Lemosho, we ascend through Podocarpus and Juniper forest and break out of the forest onto the heath zone and the Shira Plateau. We’ll have lunch on the trail before we reach camp by mid-afternoon. We’ll be spending the night at Shira 1 Camp (3,840 m). After a relatively long hike and significant altitude gain, today is a short day as we arrive in Shira 2 Camp in time for lunch. 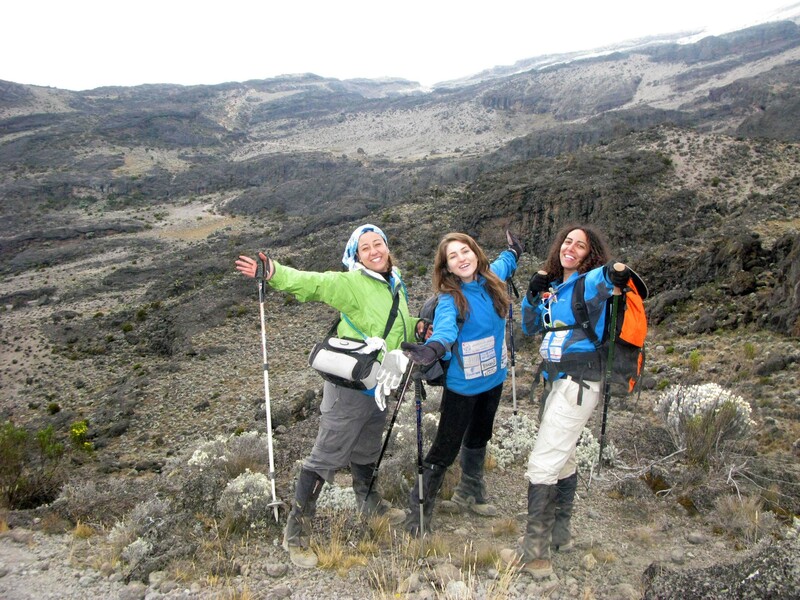 Today’s a good day for acclimatization, with the option of an afternoon walks with our guides. 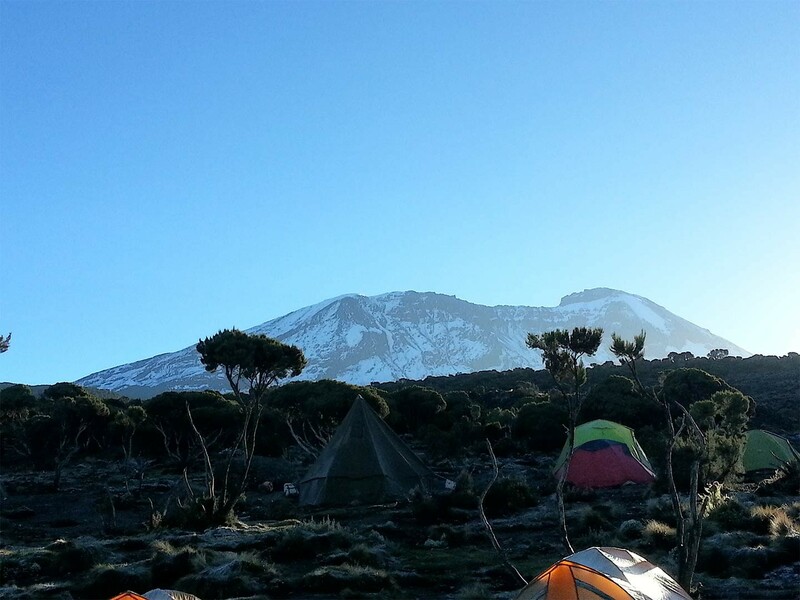 We’ll be spending the night at Shira 2 Camp (3,756 m). The route to Lava Tower takes us out of the heath zone in to the alpine desert zone, where relatively little flora or fauna can survive the extreme temperature ranges and conditions. Today is a half-day – we’ll be having lunch at the camp and, depending on weather conditions in the afternoon, we have the option to scramble to the top of the nearby Lava Tower. We’ll be spending the night at Lava Tower Camp (4,600 m). 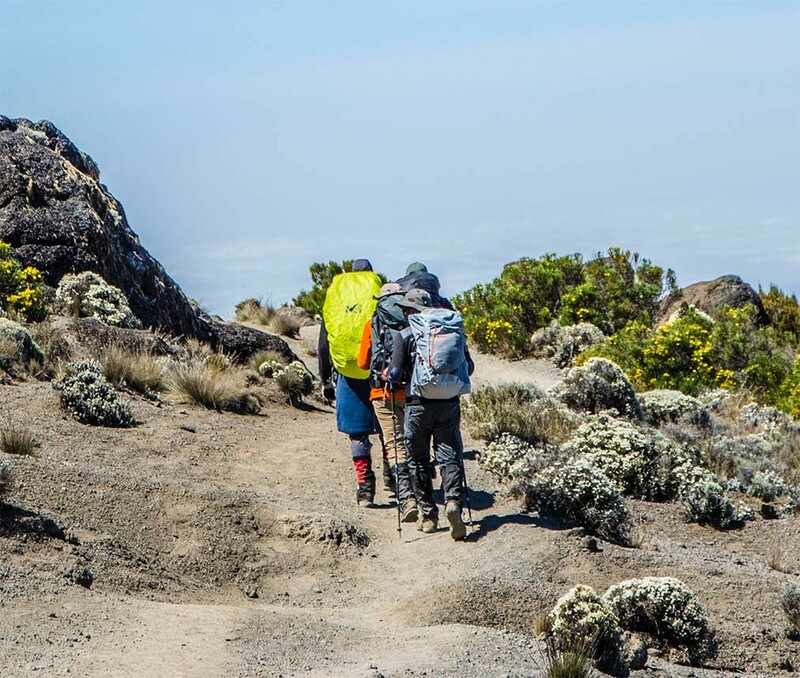 PLEASE NOTE: Depending on the group’s performance, we may descend into Barranco Valley Camp instead of camping at Lava Tower. 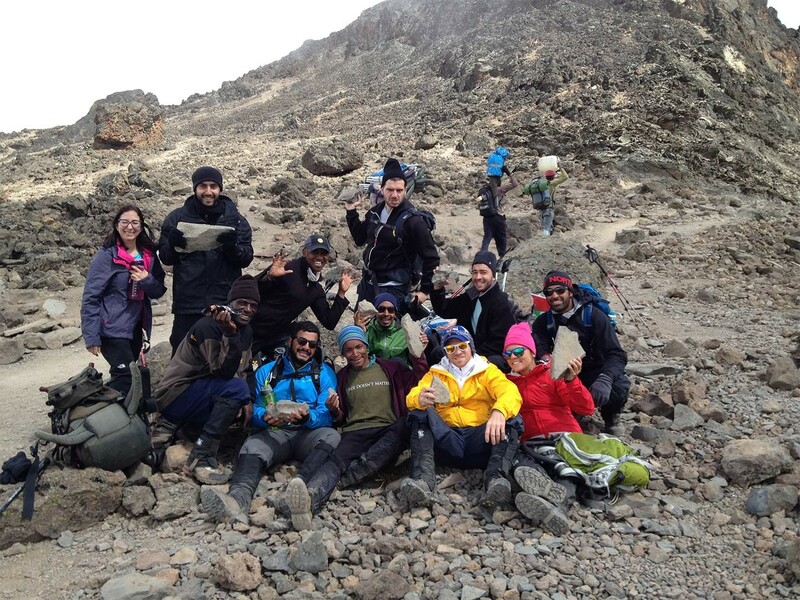 After two half-days, we now have a relatively long hike to the strategically selected Karanga Camp. Arriving at camp in the late afternoon at 3,930 m, spending a significant amount of time at this altitude is essential for safe acclimatization, and sunsets here are particularly spectacular, with views of the southern glacial valleys and ice fields towering 1,000 meters above us. 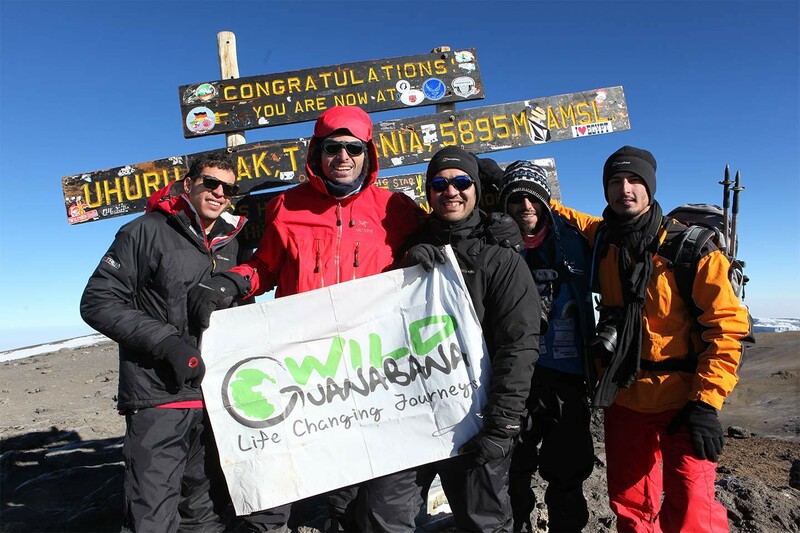 We’ll be spending the night at Karanaga Camp at 3,930 m.
Today is another half-day as we ascend to Barafu Camp at 4,550 m. We’ll be having lunch at the camp again, allowing us plenty of time to relax before the summit bid. Desolate alpine desert and at times strong winds rip over this camp and yet, in the evening, splendid views of Mawenzi volcano are the norm. 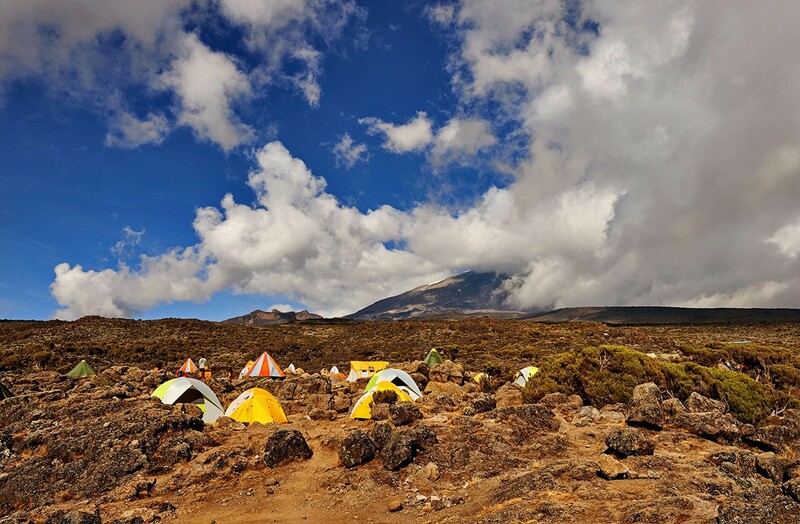 We’ll be spending the night at Barafu Camp (4,550 m). Most people depart just before midnight for the final summit bid. Patience and persistence is the name of game to reach the summit, and by dawn – as the first rays of light start to appear – most arrive near the rim. 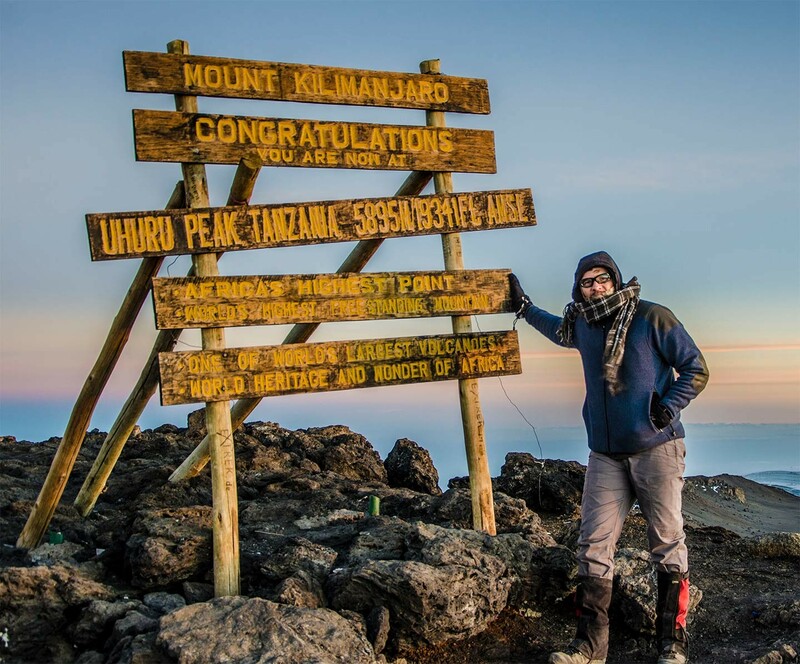 Ascending via Stella Point affords a relatively short final section to Uhuru peak, the roof of Africa, at 5,895 m! 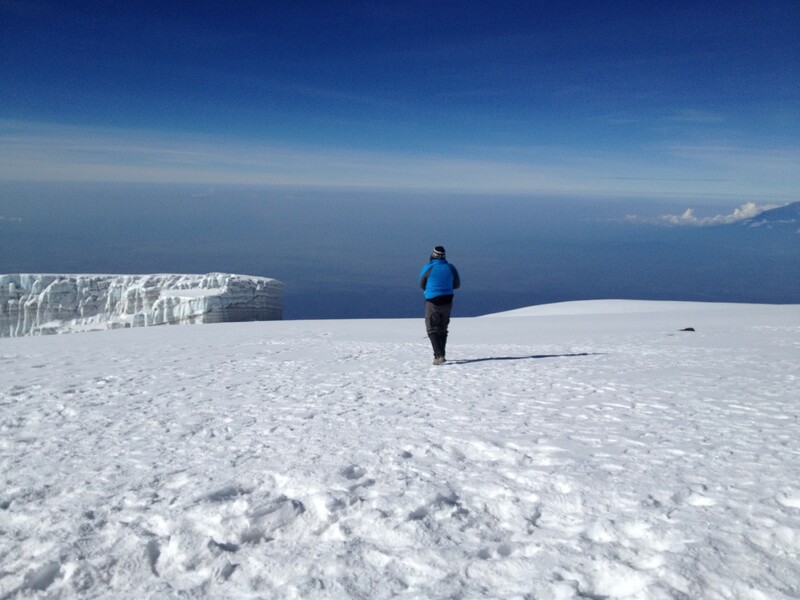 What goes up must come down, and our goal today is to reach Mweka Camp. We’ll be spending the night at Mweka Camp at 3,100 m.
After breakfast, we descend once again through montane forest and say farewell to the rest of the crew ahead of our midday pickup and transfer back to the hotel for a well-deserved shower. Most people choose to catch their flight this evening, so you will most likely stay at KIA Lodge as it’s close to the airport. 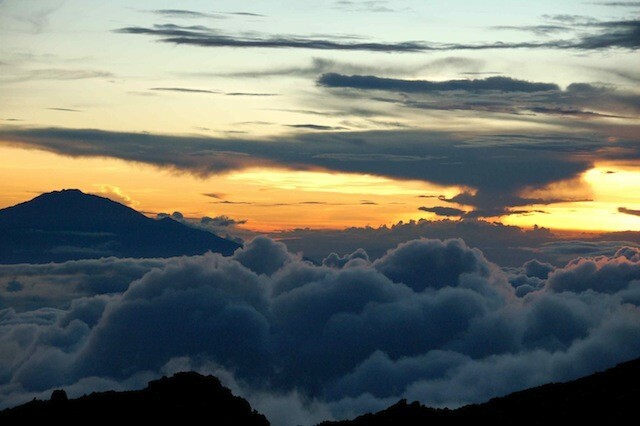 Mount Kilimanjaro is an extremely large geological structure, therefore it creates its own weather. Although, we can make predictions based on previous weather cycles, things can change on the mountain itself very quickly and therefore we must always be prepared. 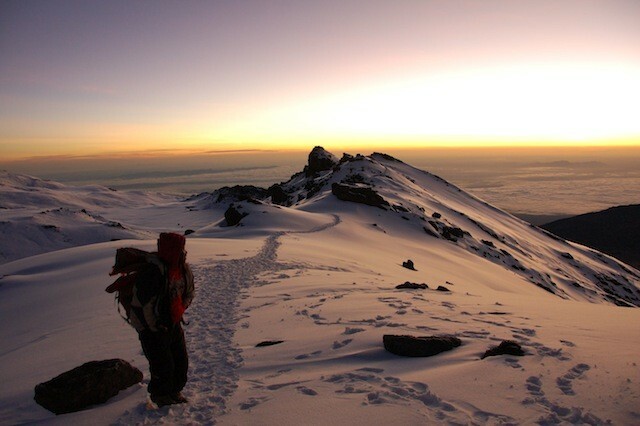 January to March January through to March is the first dry season on Kilimanjaro, making it a great time to trek. This time of the year tends to be colder than the June to October trekking season and you have a much higher chance of encountering snow on the upper reaches. The lower slopes are usually covered in cloud during this time of the year, and if you encounter rain it will likely only be on the lower slopes. Above 3,000m the skies are usually crystal clear and rain is rare. April & May These are usually the wettest months and not ideal for trekking. June to October Encountering rain or snow is rare. Warm sunny days, cold and dry nights. November & December November is slightly rainy on the mountain and is not the most ideal time for trekking but still doable. December can also be a bit wet and is usually very cold on the summit. If you plan to trek during these months it is very important that you have good rain gear, and the correct layered clothing for the summit. 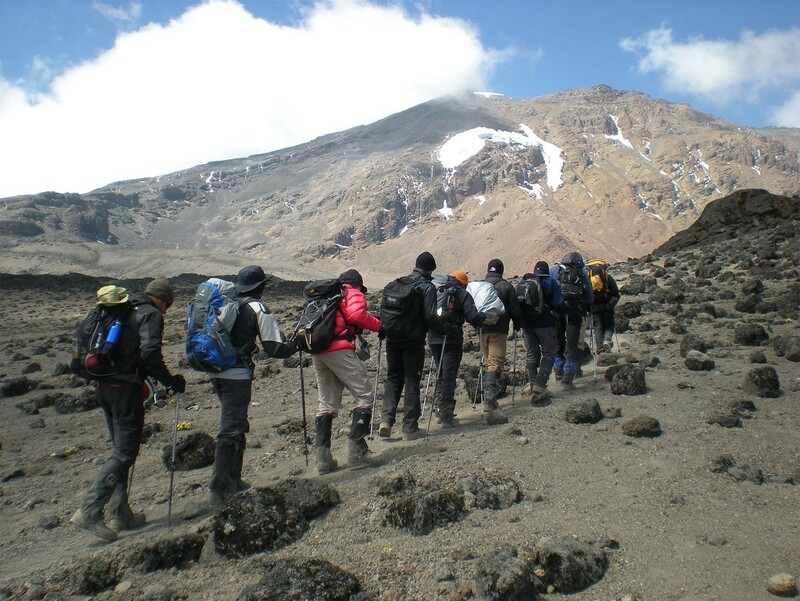 Mount Kilimanjaro is made up of five distinct ecosystems, meaning the terrain changes dramatically the higher up you go. Expect to walk through muddy trails, dense forests, boulder fields, and light snow (in winter months). Expect 5 to 7 hiking hours per day. All three meals are cooked by our very own cook on the mountain, while all dietary requirements are catered for. All meals give you the required nutrients you need for the climb and they are delicious too! 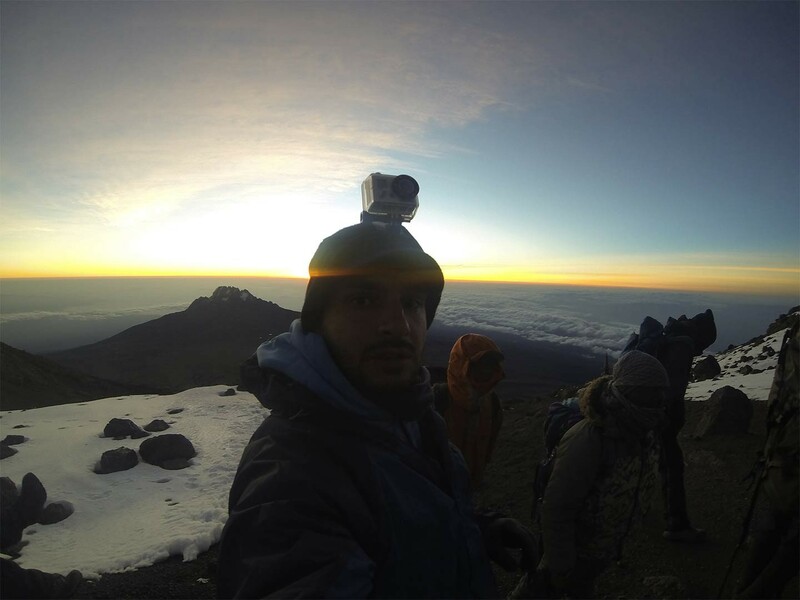 The beauty of climbing Kilimanjaro is experiencing the mountain life at its fullest. You will sleep in tents that are packed and reassembled each day at the campsite, with views of Tanzania beneath you and the stars above you. An average ratio of 3:1 porters to client - carrying personal gear, food and equipment. All porters are first-aid trained with access to becoming a guide within the organization. Top of the line expedition tents and group equipment. Alongside camp crew for setting up the tent. Pulse oximeter, altitude sickness checklist, stocked first aid kit, custom evacuation stretcher, supplementary oxygen.